This week, Microsoft announces its new game streaming service, Sony’s CEO confirms next-gen hardware, and Assassin’s Creed Odyssey breaks franchise sales records despite controversy around its monetization options. Starting in 2019, Microsoft will begin to roll out public trials of Project xCloud, the company’s new video game streaming service. 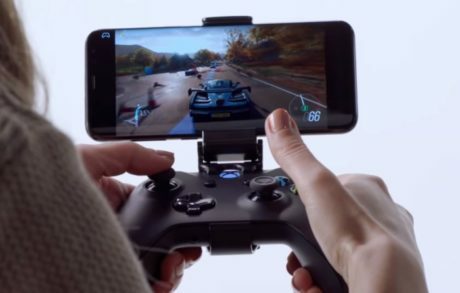 According to the official announcement, players will be able to use touch controls or use Xbox One controllers (via Bluetooth or a small hardware attachment) to play Xbox games on a wide array of personal devices. The backbone of the service will be Microsoft’s Azure datacenters, which they state will be more than capable of scaling the service so that players everywhere can enjoy a quality, low-latency gaming experience, even over 4G networks. WindowsCentral speculated that streaming games to mobile devices represents a valuable opportunity to Microsoft to attract casual gamers to their platform, and “convert casual mobile gamers into core console gamers.” The Verge and Gamespot pointed out that this announcement comes hot on the heels of Google’s recent announcement of Project Stream. Last week, a limited number of users that applied on the Project Stream website were selected to try streaming Assassin’s Creed Odyssey on Google Chrome, requiring an internet connection of 25 megabits per second or more to do so. Polygon was pleasantly surprised by how well the game performed through Chrome, reporting responsive controls without noticeable input lag, medium to high visual settings, with the only issues being some light audio compression and some decrease in performance when running downloads and streams in the background. In an interview with the Financial Times, Sony CEO Kenichiro Yoshida confirmed the existence of next-generation PlayStation hardware, stating “At this point, what I can say is it’s necessary to have a next-generation hardware.” This somewhat off-handed confirmation of next-generation hardware mirrors a similar statement from Phil Spencer at Microsoft’s E3 press conference earlier this year, when he stated that the Microsoft hardware team “is deep into architecting the next Xbox consoles.” Gamesindustry.biz extrapolated that “[Sony] is preparing for the end of the PlayStation 4’s natural lifecycle” from Yoshida’s statement. US Gamer cited games industry analyst Michael Pachter’s prediction of a 2020 release date for the PlayStation 5, but also acknowledged that if Sony maintains market dominance in 2019, we may have to wait until 2021 for their next console. Forbes speculated that Sony could be in an awkward position for a new hardware release, as Nintendo and Microsoft have bet heavily on mobile platforms with the Switch and xCloud, whereas it is “unclear whether [Sony is] prepared to dive into the mobile space or not.” The publication also suggested that Sony’s cancellation of the PlayStation Experience this year may be because heavily anticipated sequels to games like God of War and Horizon: Zero Dawn, may be reserved for next-generation hardware that the company is not yet ready to reveal.